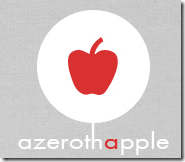 We welcome Apple from Azeroth Apple this week and while we might have had to “bleep” out a few things she said, it was really fun having her (and her cat) on the show! While there are some quests that specifically call for grouping, most don’t… but do you group anyway? How many of you pick up a friend or guildie to quest with and how many grind the lonely roads alone? Inspired by Kalixta’s WoW Recipe IRL topic and the “World of Warcrafts” column over at WoW Insider, I started wondering, how many people are into making WoW-like things in real life? Not just food, though food could count too. But how many people create pottery inspired by WoW? Or wigs, or costumes inspired by WoW? Or even knit or sew things relating to WoW? Or are you a fan artist with pen and paper or pastels or clay? How about Machinmas? Comics? Stories? Is there WoW inspiration in your life? Do you wear it proudly? Do you make it? Are you interested in it? This could go lots of ways–share what you make, or link to creations you’re fond of! Next week is Episode 145 on September 24, 2011 (if everything works out that way). We don’t know who our twisted guest will be this week. It might just be Fimlys and Hydra! Join us to ask questions live. Visit us on the blog for further updates or on Twitter @TwistedNether.